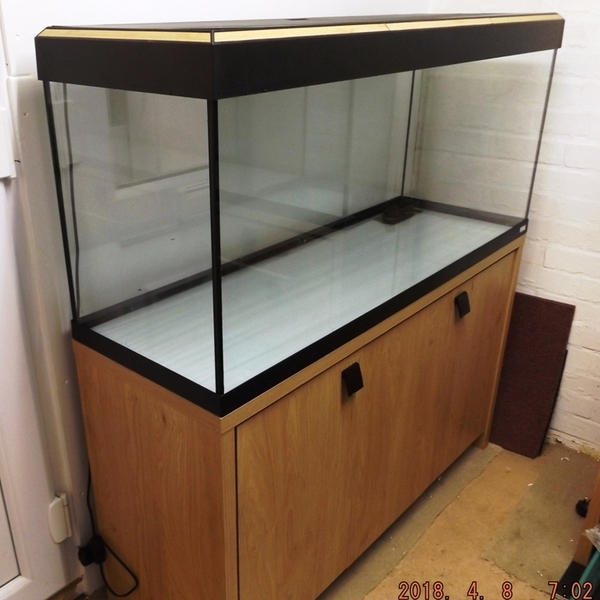 This Fluval aquarium / cabinet stand (light oak effect) - only a 2-3 years old. Comes with hood lights that work, manuals, etc. The tank and filter (306) have been cleaned. 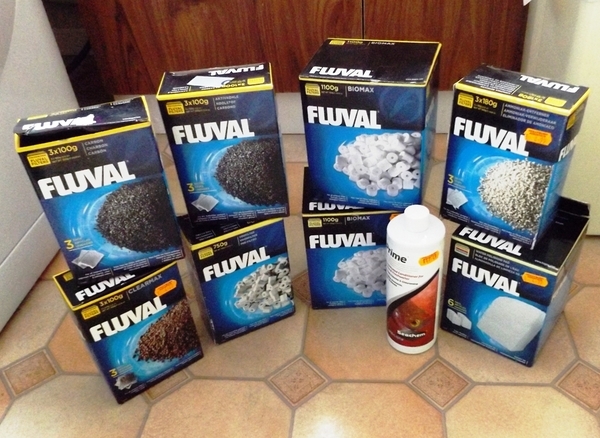 Note: the filter has no internal media / pre-filter sponges – I have thrown away the used sponges / media, so you would need to obtain the appropriate replacements from a store/shop selling aquarium supplies. I do however include the following, which were purchased separately by me, in the overall price (see photo). Seachem bottle of conc water conditioner for marine and freshwater £17.49 - unopened.